2014 sees the launch of a new look UK Sharks Poker Team and website! The poker team will inintially begin with 15 members who will be confirmed and announced by the end of January with further additions to be made throughout the course of the year. Particpate in our online tournaments. Engage in discussions within our Chat Room and via responding to posts and announcements. Represent the UK Sharks in team events both online and live when possible. 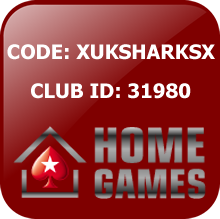 Provide details for the UK Sharks Poker Team page. Adhere to all other rules, terms and conditions of the site. Register As A UK Sharks Poker Team Supporter: Anyone can sign up to be a UK Sharks Poker Team Supporter. Supporters are still able to take part in our tournaments and engage in discussions within our Chat Room and via responding to posts and announcements, but are unable to start posts or make announcements. To register click here. UK Sharks Player Of The Year 2014 Week 13 – It’s Oh So Quiat! UK Sharks Player Of The Year 2014 Week 10 – Wilywoll Won’t Stop Winning! Crumble on Not worth chewing? MikeD on Not worth chewing? It’s estimated 1.5 million Americans will be diagnosed with cancer this year alone. Join Team 1% today and donate a portion of your winning to cancer prevention. Click on the banner above to help put a Bad Beat on Cancer. If you would like to help support the UK Sharks Poker Team's ongoing costs, please make a donation by clicking the button above. 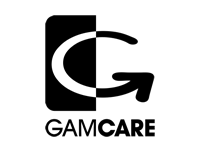 If you or someone you know suffers from a gambling problem, click on the banner above to get help. The Best UK Poker Website!